Studying at LUMS over the last three years has provided me with an insight into the domestic business affairs while Penn would offer grater international exposure and further develop my analytical and intellectual abilities. Amongst a number of reasons for opting to transfer to Penn, the first and the foremost would be Penn’s higher quality of education. Also, I feel that Penn would provide more opportunities to me to develop as a person and a future business executive. My enlightenment with the extensive research that is carried out at Penn would enhance my knowledge and set the foundation to take Finance as a career. 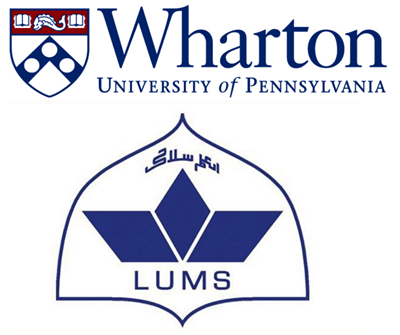 Being the most prestigious and top rates business school in Pakistan, LUMS’s teaching system and curriculum has built the base for my business education, which I feel that Penn would further develop through its diverse course offerings and professional and experienced faculty. Being a person who likes to take on challenges and beat the odds, I consider Penn’s education and environment as the right impetus to achieve my personal goals as well as the objectives of the organisation I would work for. One other reason for opting to transfer to Penn is the unanimous selection of Wharton by me and my family including my cousin, Ahmed Hassan Shah, a graduate of Brown University, who has been working in the USA for the last two years. I feel that his recommending Penn to me for continuing my educational pursuits carry a lot of weight as he has first hand experience of the US corporate sector. Therefore, I feel that out of a number of choices I have, Wharton matches with my educational interests the most for the fulfilment of my goals.